The crowds at the 2017 Great Edinburgh Cross Country were the biggest the event has ever seen. But this was understandable, the field for the senior men’s 8km race was again stacked with the top runners from the USA, Europe and of course Great Britain, with newly crowned Sir Mo Farah being the headline runner. Yet it would be Callum Hawkins everyone was talking about after the race. Ever since his debut marathon in Frankfurt, 2015, Callum Hawkins has been a name in athletics which has carried great anticipation of what he may be able to achieve. Running 2:12:17 on his debut, Hawkins showed that despite still only being 23, the marathon distance may be his best. Any doubt of this was wiped away five months later in the London Marathon. Here, he qualified for the 2016 Rio Olympics with a 2:10:52 performance, placing his top Brit whilst also displaying what has now become his obligatory aggressive running style. I was at the 2016 London Marathon at multiple points, and it was only towards the end when watching from Birdcage Walk that it was apparent that Hawkins was going to be the big new name in British distance running. As all the other British athletes faded, Callum Hawkins strode home in negative splits, running a near metronomic pace throughout – something which is incredibly impressive to be able to manage and gauge in only his second marathon. 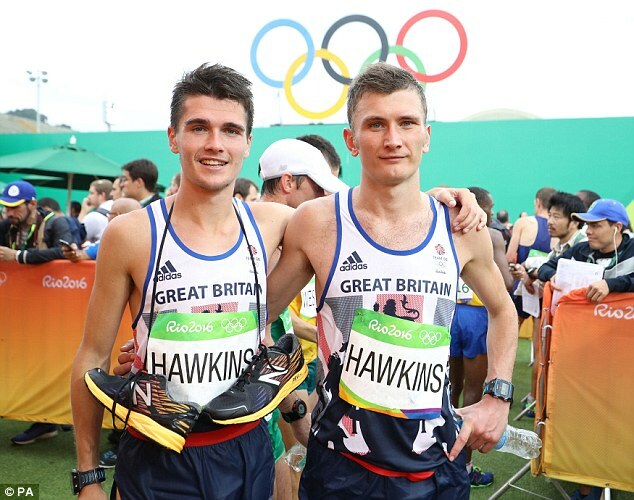 If this wasn’t enough to secure a prestigious place in British marathon running, Callum Hawkins went to Rio and led the Olympic Marathon alongside distance running legend Eliud Kipchoge. This was a sight which was certainly new to British marathon running – even Mo Farah could not match this despite his only marathon being 2:08:21. Callum Hawkins would actually come out of this Olympic Marathon disappointed, wanting more and I believe that he may be right. 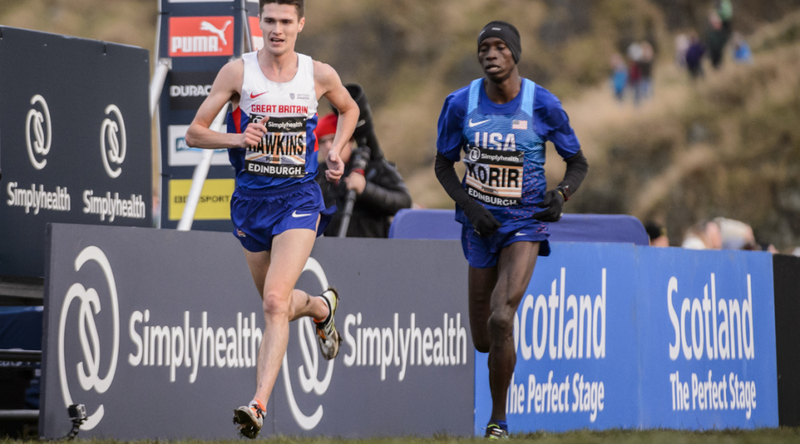 Going back to the Great Edinburgh XC, Hawkins showed incredible lack of fear and belief in his ability; he took the race out hard, harder than his competitors and the possible favourites of Garreth Heath and Mo Farah could handle. Despite gaining a slight gap at one point Hawkins couldn’t quite hold off the fast finishing gAmerican, Korir. However, it was the way in which Calum Hawkins approached and attacked the race which showed his current form and belief that he is now amongst the top runners in the world. Although he may not have won, he still became the first British man to beat Mo Farah in 7 years, demonstrating this rise in strength and potential of future British distance running. 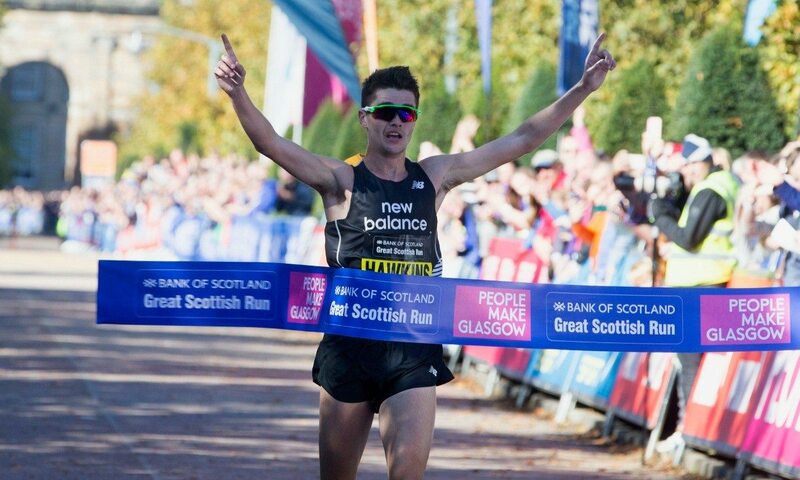 What I have yet to mention – and is one of the most encouraging and best performances of his career – is Calum Hawkins’ Half Marathon time of 60:24 which he ran at the Great Scottish Run in late 2016. For me, this is the biggest indication of his future in marathon running. This time of 60:24 is the second fastest ever behind Sir Mo Farah’s 59:22, whilst also being the Scottish Record for the distance. But it is the potential which Hawkins possesses which is greatly shown by this performance. By using the Race Time Predictor devised by Pete Riegel, it predicts Callum Hawkins to have a 2:05:27 marathon potential. For me I believe this to be the case and a definite possibility in the future given his development over the distance has only just begun. 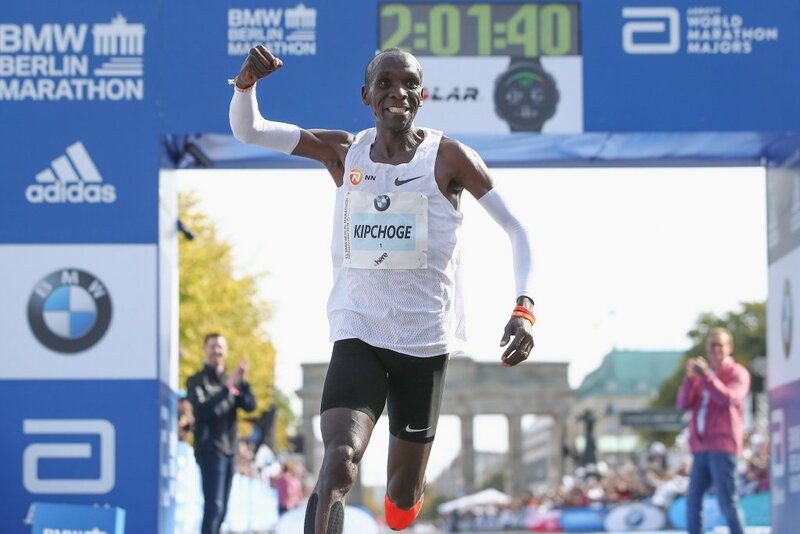 Taking Galen Rupp for example – he is a very similar athlete in terms of marathon experience and times run over the distance, with a personal best of 2:10:05. Rupp is coached by the world famous Nike Oregon Project coach Alberto Salazar who has previously stated he believes that Rupp will be able to run 2:05 in the near future. Rupp and Hawkins are on similar development paths over the marathon distance and given Salazar’s prediction, I believe that it may also apply in a similar way to Callum Hawkins and what he may be able to achieve in the future. Again like Rupp, I believe that Callum Hawkins has great potential over the 10,000m distance and may have been able to be internationally competitive over the distance with some speed work. However, he has decided to opt specifically for the marathon distance and has certainly paid off. With this strong cross country base which he has already gained this year, along with some good altitude stints in Font Romeu, his next marathon is certainly set to be his best ever. This means that he will sadly be bypassing the London Marathon which would have been ab excellent opportunity to run a fast time with an excellent field having just been announced, with Kenenisa Bekele being the lead entry. He will also miss the World Cross Country Championships which is a sensible move to get the best training in possible. Therefore, we are unlikely to see much else for Callum Hawkins for the rest of the year until the summer when the World Championships come to London in August. But we certainly do know that this time will give his an excellent opportunity to get into the best shape possible to take on the best marathon runners in the world. Personally, I believe that another top 10 finish is certainly within his reach for this race and maybe close to top 5 if everything goes to plan. However for the time being, Hawkins may be a little way off the top runners in the world and both Kenenisa Bekele and Eliud Kipchoge are likely to be running close to 8 minutes quicker over the distance. But despite this, Callum Hawkins remains a brilliantly bright future for British distance and marathon running, showing Mo Farah is not the only talent that we should be interested in.